The splint boots are designed to absorb hoof concussion and shock. The patented Shock Absorption Tubes provide exceptional protection while allowing the boot to easily contour the horse's leg. These are very easy to clean with plain water, won't pick up weeds or burrs and don't chafe the horse's legs. 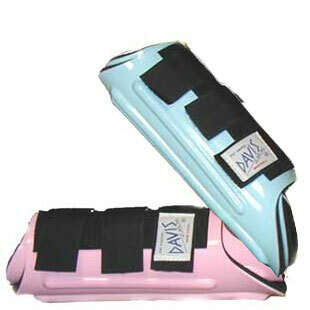 Davis splint boots are a great value for the money!